And the winner is…. Tŷ Newydd Writing Centre! 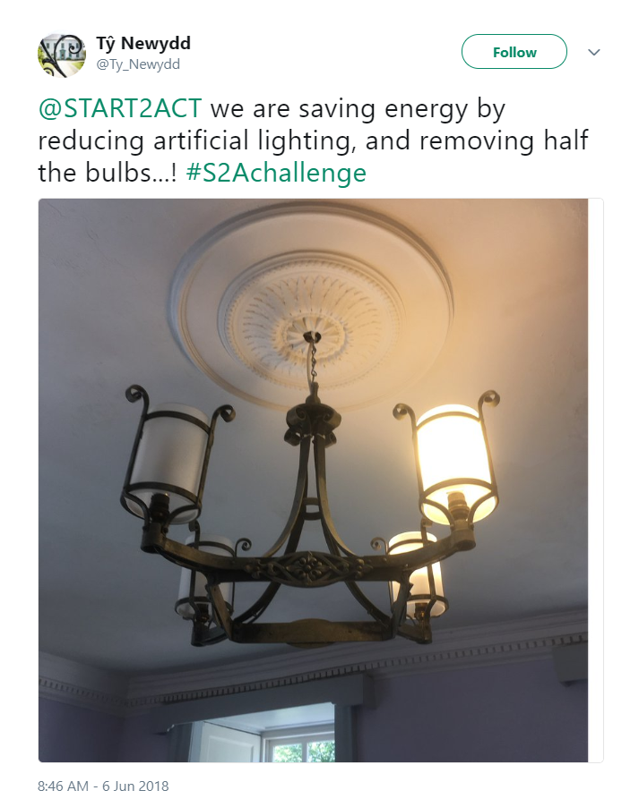 During spring, we held our fourth START2ACT energy saving competition - the START2ACT Spring Challenge. 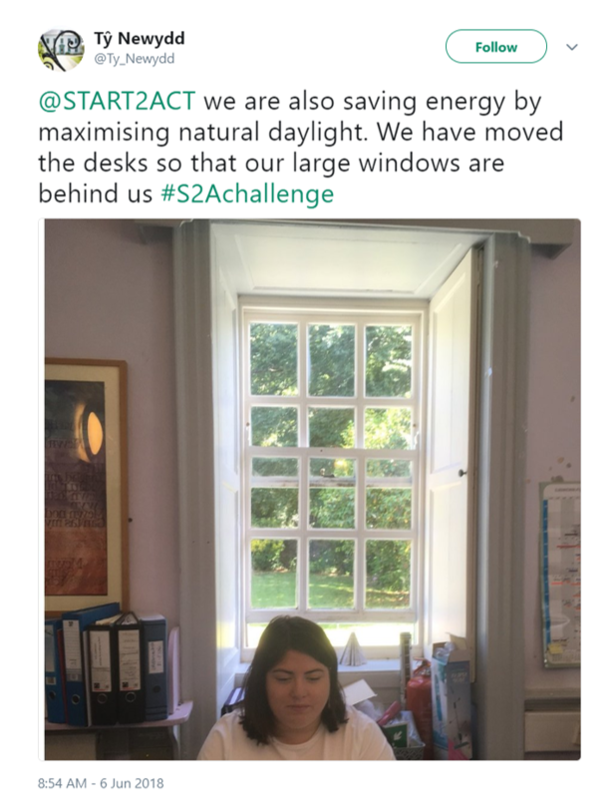 This competition asked small businesses to show us how they reduce their artificial lighting use, maximising natural daylight as the days grew longer and the sun began to brighten up our offices! The judging period has now closed and we can reveal that the winner is Tŷ Newydd Writing Centre Wales, run by Literature Wales. Tŷ Newydd showed us on Twitter how they reduce the need for artificial lighting by rearranging the office furniture and removing unnecessary lamps. Both of these were no cost opportunities with immediate savings – showing that every organisation can save energy even without investing capital. How did you hear about the START2ACT Spring Challenge? “We are lucky to work in a beautiful, old building in north Wales – Tŷ Newydd. Although our biggest and proudest asset, its age and listed status makes it a difficult building to save energy and be green. We still have grand original light fittings, and whilst very beautiful – they have too many bulbs. We decided to exchange most of the bulbs to LED ones where possible, and remove half of the bulbs from multiple-bulb fittings. “During a recent training session with a START2ACT Advisor, we decided to create an Environmental Statement for the Centre as the next step. When this is ready, we will display it on the wall and include it in every guest’s information pack. Tŷ Newydd will receive an Alexa-enabled Amazon Echo for its winning entry to the START2ACT Spring Challenge. Thank you to everyone who participated in the competition and to those who spread the word. We hope you all enjoyed the challenge! Tŷ Newydd has also signed up to receive one-to-one bespoke energy saving advice from a START2ACT Advisor. If you would like to receive this free support too, contact your local START2ACT provider here.